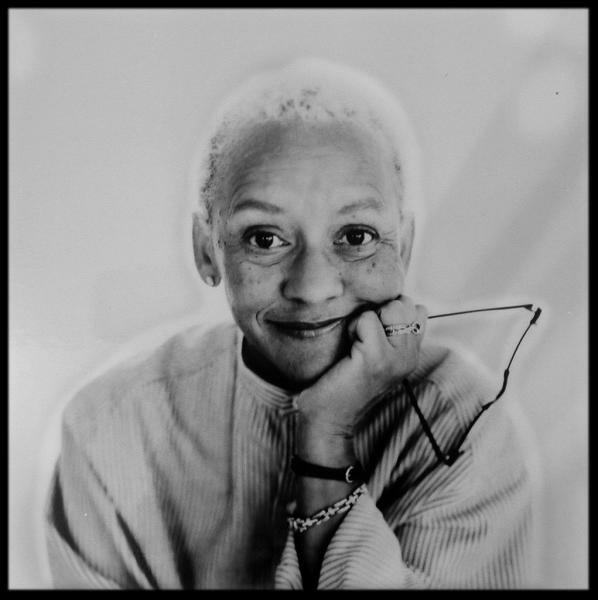 As part of our celebration of National Poetry Month, we're featuring the work of a wide variety of poets, including Nikki Giovanni! Born in 1943, in Knoxville, Tennessee, Giovanni grew up in a family of storytellers. She was especially close to her grandmother, who taught young Giovanni a great appreciation for her African American heritage. Because of this, the oral storytelling tradition is especially strong in her poetry, which tends toward an everyday colloquial speech that's accessible for both children and adults. Her first collections came as a response to high-profile assassinations within the Civil Rights Movement, including Malcolm X and Martin Luther King, Jr. Black Feeling, Black Talk was released in 1967, followed shortly by Black Judgement in 1968. These quickly established her as a powerful voice among artists of color, expressing the frustrations, fears, and triumphs of a movement. In addition to her many volumes of poetry and non-fiction writing, Giovanni has taught at several colleges and universities, and toured widely to speak about her activism and poetry. She has received numerous awards for her work, including NAACP Image Awards, the Langston Hughes Award for Distinguished Contributions to Arts and Letters, the Rosa Parks Women of Courage Award, and more. She even has the most unusual honor of having a species of bat named after her: Micronycteris giovanniae.